This First Amendment retaliation case explores when a City can retaliate against a contractor who filed a prior federal lawsuit against the City. From time to time, the Court of Appeals determines when the First Amendment prohibits the government from punishing someone for bringing a lawsuit. The plaintiffs in cases like that usually lose. This plaintiff wins. The case is Golodner v. Berliner, decided on October 27. 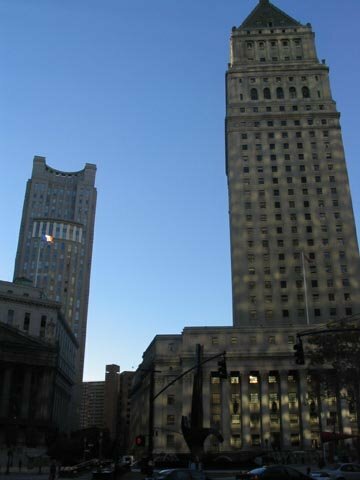 Plaintiff contracted with the City to provide security in several buildings. At the same time, he sued the City because its police officers had arrested him without probable cause. His lawsuit alleged that, under a "dual arrest" policy, officers were improperly trained in neighbor disputes to arrest the complainant and the offender. His lawsuit also alleged that the City officers hated him and ignored his complaints against his neighbors. After the lawsuit was filed, the City contracted with someone else for the security services. He claims in the present lawsuit that the City changed contractors in retaliation for the first lawsuit. Plaintiff can win the case if the first lawsuit raised a matter of public concern. If the first lawsuit raised a matter entirely personal to plaintiff, then it was not protected activity. But the first case raised issues surrounding systemic police misconduct in executing bad police arrest policies which might violate the Constitution. For that reason, the first lawsuit raised a matter of public concern. Not only does the dual-arrest policy look questionable, but plaintiff alleged in the first lawsuit that the City officers made his life a living hell because he had complained about a City officer. Defendants raise a novel argument. Noting that the Supreme Court's principal case on First Amendment retaliation, Connick v. Myers, requires courts to consider the whole record in determining if the plaintiff engaged in protected speech, defendants say that, in viewing the entire record, the first lawsuit did not raise a matter of public concern because that case was ultimately dismissed on summary judgment, and in that case plaintiff did not challenge the dual-arrest policy in post-complaint filings. That does not matter, the Second Circuit (Hall, Straub and Droney) says. When the City allegedly retaliated against plaintiff, the only speech that plaintiff had engaged in was the lawsuit, which on its face did raise matters of public concern. "The practical effect of adopting defendants' position ... would be to impute to government actors -- retroactively -- knowledge of developments bearing on the characterization of speech that postdate the actors' alleged retaliation. Neither the law nor common sense supports such an approach[.]" The Second Circuit adds, "Courts properly determine whether the speech at issue touches on a matter of public concern by reviewing only the speech cognizable by the alleged offenders prior to and at the moment of the alleged violation." No qualified immunity for the City defendants in light of clearly-established law that the government cannot retaliate against someone, including contractors, for engaging in free speech. For the qualified immunity junkies out there, this case offers a nice discussion (including a reference to Goldilocks) of how much specificity prior cases need on the facts to place government officials on notice that they are violating clearly-established law in subjecting someone to an adverse action.